Here's how to enroll at MSM if you're an international student who will attend MSM's Summer English Study (SES). 1. This is the last day to confirm you’ll be attending MSM & Summer English Study (SES). 4. Deadline to submit your financial aid award notification, where applicable. Summer English Study (SES) Summer Housing Application is due. Please visit the Accepted Students Housing Page in this Accepted Students section of the website. Please pay your tuition by this date, or sign up for a payment plan. You will receive an email from Student Accounts in June, with instructions of how to download your invoice and make your payment. 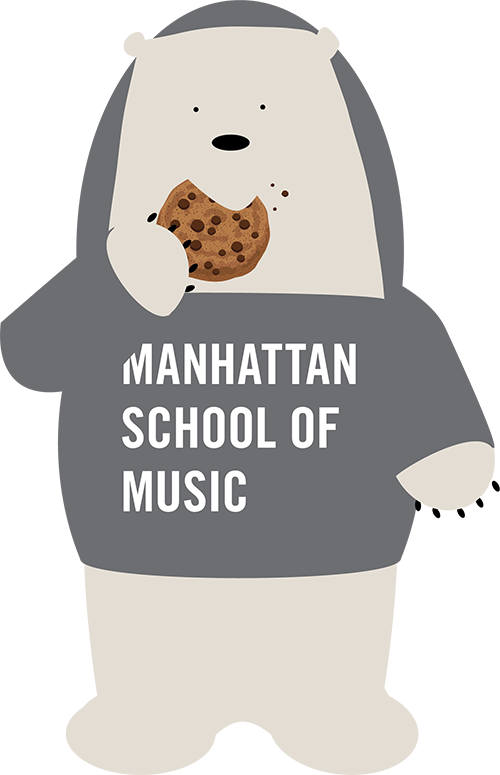 Note: All full-time Manhattan School of Music students are required to have health insurance that meets the minimum essential coverage requirements set by the U.S. Affordable Care Act. The MSM-sponsored health insurance is mandatory for all F-1 visa holders; the cost of health insurance will be included on your bill. This is the last day to confirm you’ll be attending MSM. 1. This is the last day to confirm you’ll be attending Summer English Study (SES). Have your doctor send it to: Admissions Office, Manhattan School of Music, 130 Claremont Avenue, NY NY 10027. You can find the form here in the summer. 5. Fall/Spring Housing Prepayment is due. Please visit the Accepted Students Housing Page in this Accepted Students section of the website. Follow these steps to get your US government student visa, which you’ll need to be able to attend Manhattan School of Music. Next: Make sure you’ve completed all your enrollment requirements. You need to do this before MSM can approve your SEVIS Form I-20 Application. When MSM has received all of your enrollment documents, and should the School approve your SEVIS Form I-20, it will be returned to you by mail. Take this approved SEVIS Form I-20 to your nearest United States Consulate or Embassy in your home country where you will use it to apply for your F-1 Student Visa. The application process for the SEVIS Form I-20 and F-1 Student Visa can take several weeks, so it is extremely important for students to be prepared and plan ahead. The original documents will be returned to students for use at their U.S. Embassy visa appointment after their SEVIS Form I-20 application has been approved. NOTE: Students must be formally admitted before the SEVIS Form I-20 document can be issued and mailed to the student. Students that are conditionally admitted cannot receive a SEVIS Form I-20 until they have completed their files with the Office of Admission and have been formally admitted. Summer English Study (SES) students take classes Monday through Friday for at least four hours each day from 10:00am until 6:00pm. Classes focus on four skills: listening, speaking, reading, and writing. The Summer English Study (SES) program was especially designed for musicians; SES students study the special English of music. In addition to attending classes, Summer English Study (SES) students have fun one-on-one meetings with current MSM students and alumni. These meetings give SES students the time to practice their conversational English skills and to learn more about New York City. All meetings are conducted in English. All Summer English Study (SES) students will be REQUIRED to live on-campus in Andersen Hall during the SES Program. Students will be able to move into Andersen Hall at the end of June and will have full access to the MSM practice rooms. Invoices for the Fall 2019 semester will be generated and available online at the MSM Student Portal by mid-June. You will be sent a MSM user name and password to log in. Invoices for the Spring 2020 semester will be available in November 2019. Please note that all charges are quoted for one semester only.